This is the summary of consumer reviews for Jeep Liberty Limited Urban Terrain Stroller, Spark Green. The BoolPool rating for this product is Very Good, with 4.40 stars, and the price range is $148-$180. 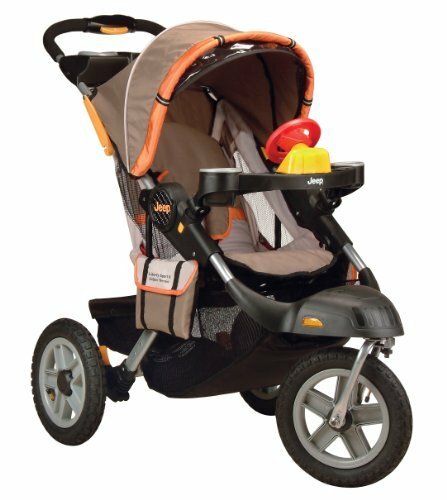 The Jeep Liberty Limited Urban Terrain Stroller is a multipurpose, on the go wheel system that transports your child in style while you walk. 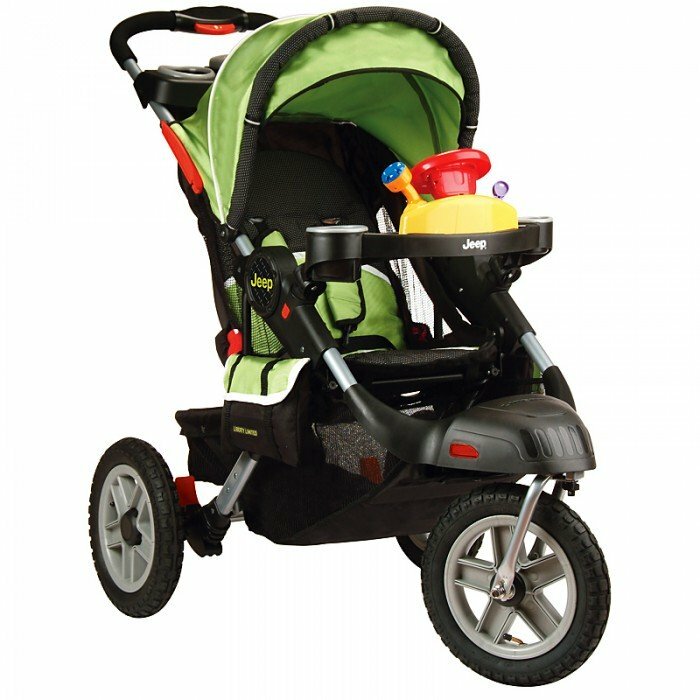 This stroller is compatible with many popular car seat brands offering a comfortable ride with rugged 12 inch inflatable tires and easy-swivel front wheel that locks for maneuvering bumpy landscapes. It features a removable iBaby sound System which lets you hook up your iPod or mp3 player for soothing tunes. It also includes the "I drive" entertainment toy with horn and car sounds that attaches to swivel child tray with cup and snack holders. It is easy to wash and clean. 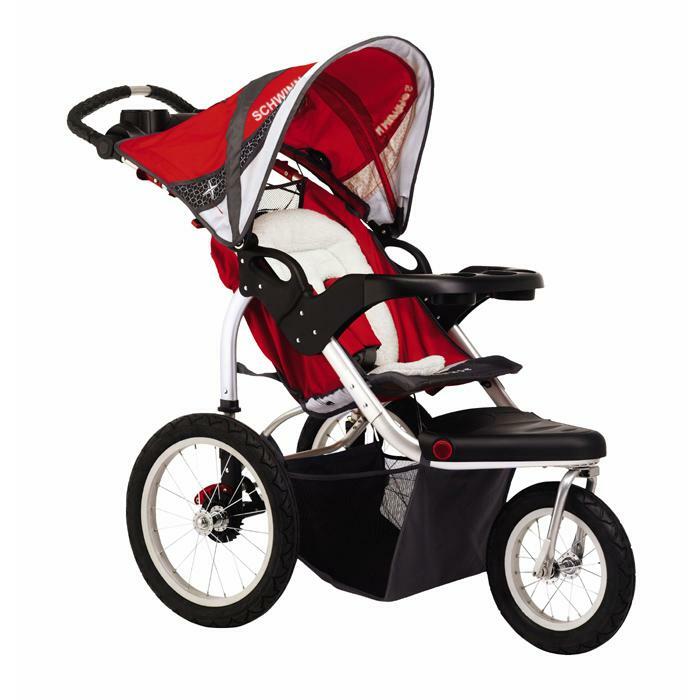 The stroller features a multi-position reclining seat that is ideal for naps or quiet time when required. 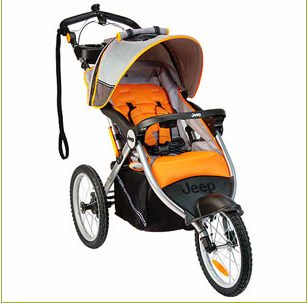 This Jeep stroller provides a smooth ride with the adjustable five-point harness that keeps your child secure. The convenient removable parent tray with deep cup holders and the simple, one-handed fold design is a wonderful incentive for active outdoor time. It also offers a large storage basket plus removable cargo bags for carrying all your essentials. Some caregivers did not like that the bar to apply brake keeps slipping and constantly needs to be pushed back to keep the brake from hitting the wheels. 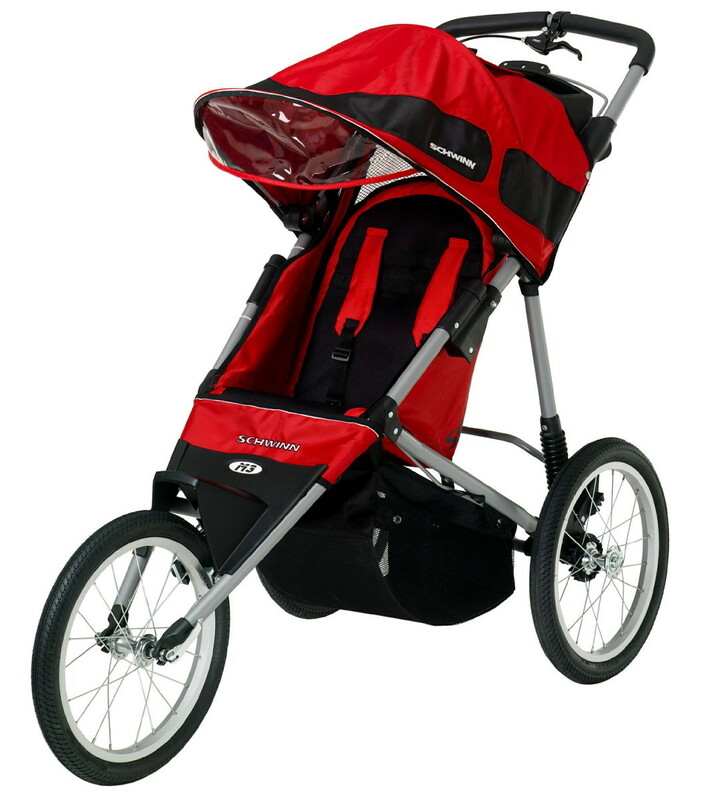 This stroller is bulky when folded up and it is heavy to lift to stow in the car trunk. The wheel base is massive making the stroller very wide. Overall, the Jeep Liberty limited is a perfect balance of all terrain, comfort, ease of use, size, and maneuverability. It turns on a dime and fits through most doors. 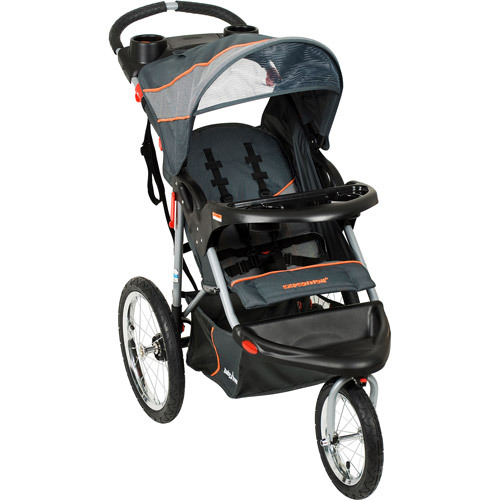 This versatile stroller is easy to push, turn and handle letting you venture out on dirt roads to the much needed walks for fresh air and exercise. Easy to assemble and smooth wheels. I've a fairly large trunk capacity, but the solid wheel cover on the front wheel is about an inch too high. It worked well for about 4 months and then the front bracket that holds the front wheel completely bent to the side. He loves the wheel and cup holders for his sippy. 3 days ago I crashed with my baby in another jogging stroller while skating, front wheel started to wobble down hill. If you actually jog or run, you'll have to lock the wheel. The large wheels, sturdy construction, spacious seat and well-cushioned pad makes this a very comfortable ride for the 8 month old. First of all the wheel base is massively oversized, it's only 4 inches narrower than our front door. We bought this knowing it was heavier and not compact, but I really don't think any of these larger 3 wheel strollers are that light nor are they compact when folded due to the wheels. strong, sturdy, smooth, 100% recommended. Highly recommend this stroller especially on rough terrain. as well as keep me happy I'd highly recommend. I highly recommend this stroller at this fantastic price. We recommend this to everyone. I'd recommend this to my friends. I don't recommend taking a tumble with it, but the stroller is awesome. This stroller is amazingly well built. The stoller also has straps to tie your little one in and it can also carry most standard car seats. It's wonderful storage both front and back. We also bought the lightweight jeep for travel. I bought this and it started shaking when ran with it. Very smooth, works great, i wished i'd have bought this stroller long before now! It's very bulky when folded up, but I knew it'd be when we bought it. My son just started using the horn and steering wheel at 10 months. My hubby bought this for me for Mother's Day and a month later we found out we were expecting baby #2 so we've already invested in a double stroller and I'll be so sad the day I've to quit using this AWESOME stroller!!! I even took up jogging, just because I now have a jogging stroller. I bought the jeep over the more expensive ones on the market because of positive reviews. 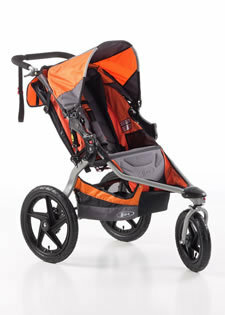 this's very nice smooth running stroller only down fall is when folded up a bit bulky and heavy to put in back of car. Our son uses are the Chicco Keyfit 30 infant cars seat and fits perfectly. This's a really nice stroller. I love this stroller, it pushes like a dream compared to the stroller that came with the car seat that the in-laws bought us. It's also very bulky to stow in my car. So then I'd my husband try to put it in the back seat next to the car seat, no go. It's easy to wash and the MP3 speaker is a nice touch. Smooth ride, very roomy, lots of storage space. We were happy to find a stroller that fits our Chicco car seat, works well on gravel roads, and at great price. there's plenty of space as well for storage. I love that it handles so well, over bumps and bad roads...the baby doesn't get jostled around. I'm impressed with how well this stroller handles "off road". This stroller handles well and is great for parents, with a smooth ride and plenty of basket space. The seat area is large, and my child seems quite comfortable. The unit itself is large and well constructed. The music player works well and is a nice feature to have. All in all it's a fun nice-looking stroller with plenty of room for the baby and handles pretty well on many different surfaces but a bit impratical in certain ways. Well made and very user friendly!!. It turns VERY easy, has a locking front wheel as well, my friend who was watching my son hooked her IPOD up to it and said it was great background music for their little walk. My son LOVES the little steering wheel. We love taking walks,it folds up small and opens with one button. The iPod speaker has never worked, but it wasn't a feature we really wanted. My baby is 8 weeks old, so I'm using a Graco infant seat with the stroller, and it works really well. 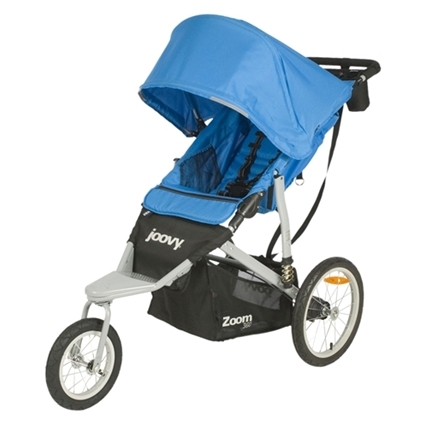 I was looking for a jogging/all-terrain stroller for our daily walks with my 5 months old son. I've a safety first infant car seat and it works well with the Jeep. I don't really jog, just walk, but where I live there aren't really any sidewalks so I've to walk on the road and the regular stroller I'd was taking some wear and tear from the roads. It's a little bulky for taking in the car, but for neighborhood walks: it's perfect. 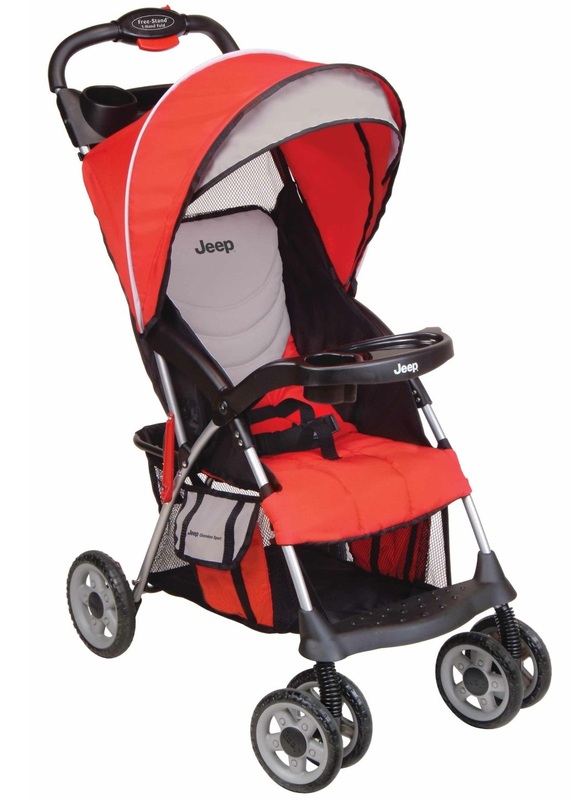 After lots of research, I chose the Jeep Liberty Urban Terrain stroller and love, love, love it!!! Good sturdy stroller, very easy to push...steering wheel is a cute accessory that the baby loves! My son loves riding in it and its so easy to use. Its solid, easy to clean and fits even big sippy cups. It was easy to build and the instructions are easy to follow. She loves it, it's so easy to use. Not easy to fold and put in a car trunk. It's easy to assemble; taking about 10 minutes. My toddler loves the steering wheel toy area too. It was soooo easy - I couldn't believe how easy it was. We love, love, lover this stroller! I really love this stroller. My little girl loves the toys that are attached. My wife loves it and my son also love the speaker and the toy assessory. I love how the front wheel moves with ease. Love the color & the look. I absolutely love this stroller!! !